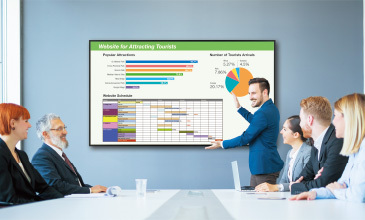 Engage, inform, and influence your audience with a Sharp professional LCD monitor. 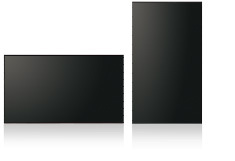 Coming in a range of sizes from 86 to 43 inches, the PN-HW861/HW751/HW651/HW551/HW501/HW431 delivers your message with eye-catching detail at every scale. Along with 4K Ultra-HD resolution, it boasts a built-in USB media player. So, even without a connected PC, you can display photos and videos with amazing realism. 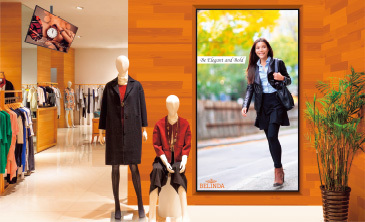 This advanced slimline monitor can be installed in a variety of locations, depending on your signage needs. Whether you set it up in a retail, hospitality, or business setting, this monitor is built to make an impact. With four times the pixel resolution of full-HD, the PN-HW series brings out all of the detail and clarity that the content creator intended. Videos and photos at 4K Ultra-HD have subtle textures and fine details not visible at full-HD. The high pixel count means there’s no need to worry about jaggies, even on the largest screen. Fit more screen in less space. The PN-HW series is streamlined for a pleasing appearance and minimal protruding parts. The thin bezel makes for easy placement in offices, public places, stores, and other commercial locations. This series of monitors comes in six sizes—86, 75, 65, 55, 50, and 43 inches—to suit a hugely diverse range of display scenarios. 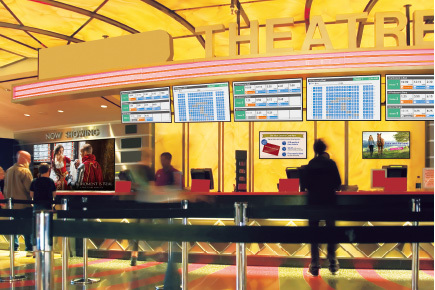 The PN-HW series offers a choice of landscape or portrait installation, allowing customers to select the mode that best suits their display content and application. 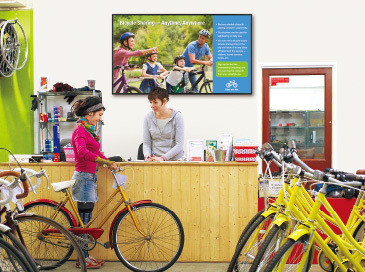 While portrait installation offers the look and impact of a poster, landscape installation puts wide images on high-definition display. The PN-HW series can play photo slideshows and videos—all without a PC or set-top box. Since you don’t need a large playback source, installation is easy and space-efficient. A built-in USB media player lets you play 4K Ultra-HD photos, full-HD videos, or music stored on a connected USB memory device. It can also play photos or videos automatically. For added security, the monitor comes with a USB drive cover to prevent theft of the data storage device. Supported media formats: JPEG for still images, MP4 and TS for videos, and MP3 for audio. If you’re planning a large-scale signage installation, please consult your local authorised Sharp dealer or representative. 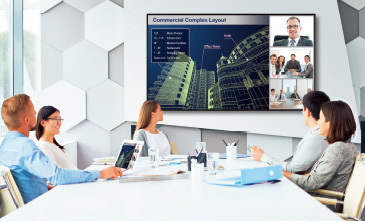 Add impact to your business presentations by connecting your PC to a PN-HW series monitor. Text, graphs, pictures, and tables can all be displayed in stunningly detailed 4K Ultra-HD resolution. *1 When you hook up a notebook PC using an HDMI or D-sub cable, the monitor wakes up from signal waiting mode and displays the content automatically*2. You can start your presentation right away. *1 For native 4K content. *2 When a video signal is received at the selected input. Thanks to its LAN/RS-232C interface, the PN-HW series can be easily controlled and monitored from a central location via a PC. This enables you to remotely turn the monitor on or off, switch its input, or adjust the screen and settings. The PN-HW series is designed for heavy use under tough operating conditions. This reliable and commanding monitor easily handles the daily demands of 16-hour professional applications. Even after long hours of continuous operation, it delivers a sharp, clear picture. Compared to conventional CCFL backlighting, LED backlighting on the PN-HW series helps ensure reliable performance with low power consumption. These LCD monitors conform to the RoHS Directive restricting the use of hazardous substances. Powerful 20 W audio features high fidelity so all of your scenes sound as breathtaking as they look. Fanless architecture maintains airflow and dissipates heat without the use of mechanical air-ventilation fans, which can attract dust and create noise. This fanless design also facilitates monitor maintenance.